The Hunt is a web app used to manage trivia questions via SMS. It integrates with Twilio to send and receive texts. 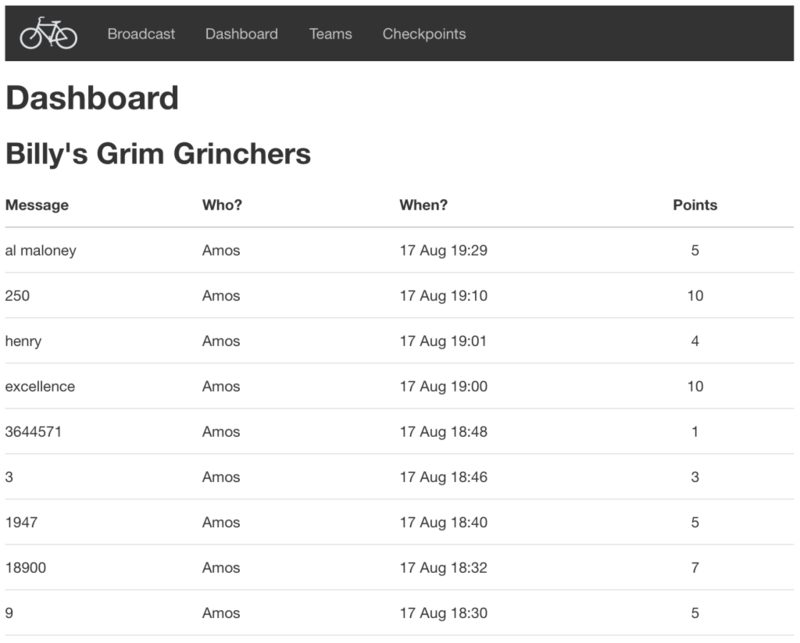 You can manage teams, set checkpoints and broadcast messages. The primary impetus for this project was our friends’ yearly bicycle scavenger hunt. We wanted a way to set up a series of questions where you had to answer the current question before you received the next. The Hunt lets you set up a chain of checkpoints and tracks each team’s progress throughout the hunt. It also allows for SMS broadcasts to everyone or specific teams. Check out the GitHub repository for more information and source code.